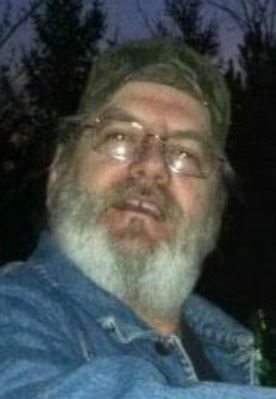 Brian K. Bullock, 57, of Fremont, OH passed away at his home on Thursday, March 15, 2018. He was born March 30, 1960 in Wayne, MI to Frederick and Jean (Love) Bullock. Brian served in the U.S. Navy. He was a truck driver for thirty years and owned his own truck. He also worked for Bowling Transportation and attended Victory Church. Brian enjoyed playing guitar, hunting, fishing and BBQing. He loved spending time with his grandchildren. Brian enjoyed life and lived it to the fullest. Brian is survived by his daughter, Kylee (Zach Twigg) Bullock, Fremont, OH; grandchildren, Gage and Gannon Twigg; siblings, Linda (Roger) Finter of Florida, William (Sandy) Bullock of Michigan and Mike Bullock of Indiana. A Celebration of Life will take place Tuesday, March 20, 2018 from Noon to 4:00 p.m. at the Fremont VFW, 204 Birchard Ave, Fremont, OH 43420. My deepest sympathy to his family and friends. Rest in peace Brian. Had SO MUCH FUN with Brian and always a Good friend,and on a sunny day, he was out riding his Harley he would always stop by to visit. I will certainly miss thoughs visits. REST IN PEACE MY FRIEND. GOD BLESS!!! Sorry for your lost. Sounds like he was a fun loving guy. RIP Brian. Praying that God will comfort y’all at this time.